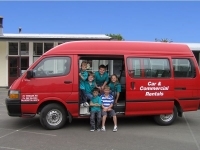 Car and Commercial Rentals hire vans and mini buses to schools, school groups, sports teams, clubs, businesses and individuals. Whatever your event, our vans and minibuses can get you there! We also have rental vans perfect for moving small goods from place to place. Need more room? Click here to view our baggage trailers for storing the extra equipment you may need for the trip. 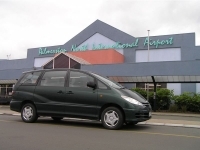 If you are travelling longer distance, such as to Wellington, Hawke's Bay, Taranaki, or further around New Zealand, some of our minibuses have larger boot space for those longer trips that you don't want to take a trailer on. 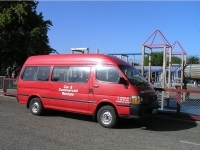 We have available 10 and 12 seat minibuses. Baggage trailers available for any extra equipment/luggage. Perfect for school groups and sports teams. Contact us to hire a minibus today. If you are wanting a few extra seats while maintaining the comfort of a car, we have a Toyota Previas that will carry up to 8 people. Great for businesses, or small school groups and sports teams. Contact us to hire a Toyota Previa today. If you are looking to move small goods, our rental vans will get the job done. We have quality and reliable vans that won't let you down. Toyota Hi-Ace or similar, 2800cc - 3000cc, Long Wheel Base, Power Steering, Manual / Automatic. Contact us to hire a van today.